Now On-Demand: Buy now to watch the video or listen to the audio of this class! If you’re ready to know what your friendship strengths are—the talents you bring to every friendship that come naturally, that you’re good at, and that feel good to you, then we hope you join us. Finally!!! I get to share my husband’s wisdom with you! Woot-woot! He’s usually all booked up speaking and coaching with companies, but I’ve booked him for us! Yeah!!! His expertise in Gallup’s StrengthsFinder is going to make for one inspiring, insightful, and incredibly rich class for those of us who value healthier friendships. While traditionally the StrengthsFinder is thought of as a workplace inventory that identifies your Top 5 Themes—the things which you do better and most naturally than others; he’s long used it for personal coaching, marriage counseling, team relationships, and group dynamics because it informs us not only what we’re good at (and we’re all better off focusing on what we do well than in trying to improve our weaknesses! ), but also how our brain is wired to receive energy. And don’t we all want to feel more intentional, energetic, and successful in our relationships? 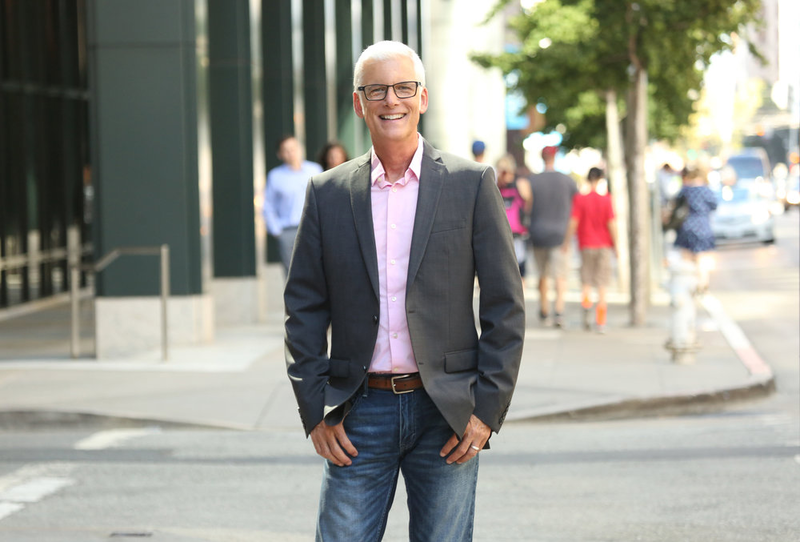 Greg Nelson is a keynote speaker, coach, and author of The Strategic Stop – a guide to creating pauses for reflection and connection in our “always-on” society. He is recognized as an expert on team and leadership culture transformation with an earned doctorate in personal and organizational effectiveness. He has worked with high-profile companies and nonprofits such as Bill and Melinda Gates Foundation, Fitbit, Amazon, and American Express. He also consults with church organizations that are striving to stay relevant. He has delivered thousands of talks in his career as a pastor and then as a full-time corporate speaker and coach, to both small audiences and those in the thousands. Just like in the workplace where we need to play to our strengths, so, too, do we need to better understand what we each bring to our friendships. No two friendships are exactly the same; and in fact, friendships are not well-rounded. In other words, no one friend can do everything for us, nor can we be everything to someone else. Gallup measure 34 strengths in their StrengthsFinder assessment that we all have in descending order, which means no one of us is strong at all of them! Nor do we need to be! Nor do we even want to be. Rather, the goal is for each of us to know what our individual “sweet spot” is so we can say yes to more of what we’re good at, and better manage expectations and communication around the strengths we don’t have. And those difference also offer a lot of potential for two people to each benefit from the strengths of the other! Imagine if we could both focus on what each person brings, more than we focus on what is lacking! Imagine if we each felt affirmed for what we contributed rather than guilty, or blamed, for what we don’t do as well? Imagine if we felt understood, seen, and appreciated? And we could easily give that same gift to our friends? Who: Everyone welcome! This will be a great personal growth workshop, in addition to its focus on relationship health! Where: We’ll send you a video conference link, plus a follow-along worksheet, so you can join us from your laptop, desktop, or phone! 2. Discover Your Top 5 Strengths. Make sure you know your Top 5 Strengths before the class! Many of you have undoubtedly already taken the inventory so simply sign in to Gallup Strengths Center to get the report (no matter how long ago you took it!). OR, if you’ve never taken it, you can buy it here for $19.99 and you’ll not only receive your Top 5 Themes, but they’ll open up all kinds of resources to you to benefit you at work and life! 3. Receive all details! We’ll send you a video conference link and worksheet at least 48 hours before class starts so you can feel all ready to join us live! You just click on that link at class time (you do need wi-fi!) and you’ll automatically join our class. 4. After the class, we’ll also send you access to the video + audio recording! I can’t wait for you to feel more excited about what makes you unique, more confident in who are as a friend, and more appreciative about the differences between you and your friends!